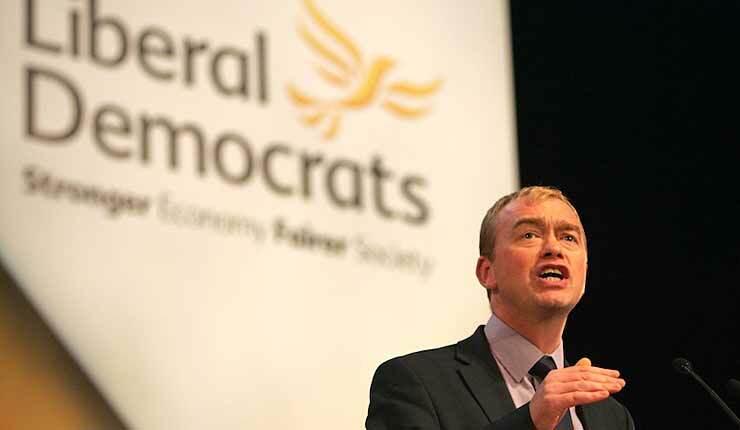 In an astonishing announcement, Tim Farron, Leader of the Liberal Democrat Party, has welcomed a politician he acknowledges to be an antisemite back into the Liberal Democrat fold. Mr Farron admitted freely that David Ward is an antisemite, but that he has “served his time” after completing a period of suspension under Party rules. Mr Ward has in the past equated the Jewish people with Nazis while implying that it is for the victims of the Holocaust to learn a lesson from it, as well as questioning Israel’s right to exist at all. According to the international definition of antisemitism, endorsed by this country among 31 others, the College of Policing and the European Parliament, Mr Ward is an antisemite, and he was rightly suspended. Yet he has recently supported the now contrite Naz Shah over her comments that Jews in Israel should be forcibly transported to the United States of America and has also made controversial comments in a debate, indicating that he shows no contrition for his earlier offences. The Liberal Democrats have form, having declined to expel Baroness Jenny Tonge for any number of antisemitic statements, including echoing the blood libel in her claim that Israeli soldiers sent to help with relief after the Haitian earthquake were there to harvest organs from dead bodies. Antisemitism flourishes under leaders who tolerate it, as continues to be graphically evidenced in the Labour Party under Jeremy Corbyn. For Tim Farron to leave this matter here would amount to a similar display of hypocritical and weak leadership; he should send a clear signal that antisemitism is unacceptable by expelling both David Ward and Jenny Tonge, or he will be signalling that the Liberal Democrat Party is a safe space for antisemites.